Get an insider's view of Pearl Harbor on this fully narrated deluxe tour. This tour is narrated either by live tour guide, audio set or film footage. 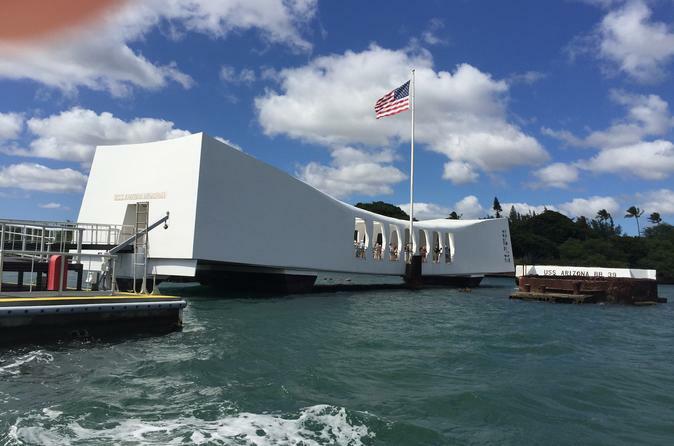 We will manage all your tickets for every and all attractions in Pearl Harbor and Ford Island and you do not need to stay in a long line for USS Arizona Memorial ticket early morning. You will be transferred privately from your hotel in Waikiki to Pearl Harbor and back later in a nice new clean fully insured vehicle. Your driver/guide will tour you Honolulu historical down town if you like and happily back to your hotel. You will learn about the history of Pearl Harbor. Visit some historic ships, including USS Arizona Memorial, USS Bowfin Submarine, USS Missouri Battleship and Pacific Aviation Museum. And get skip-the-line-access. That's right: breeze right in past the line. Everything is included in this tour, including hotel pick up and all entry tickets. This VIP tour with private transfer will cover up to 3 people.